Benefit Beers for Leukemia & Lymphoma Society’s Team in Training. 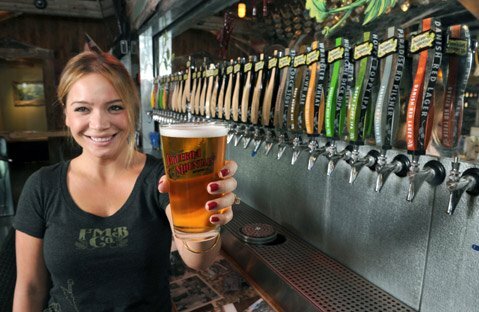 Stop in to Figueroa Mountain Brewery in the Funk Zone every Wednesday in August. Take a pull form the Benefit Tap and support Rose Mesa’s goal to fight against cancer. Help the fight against blood cancers! 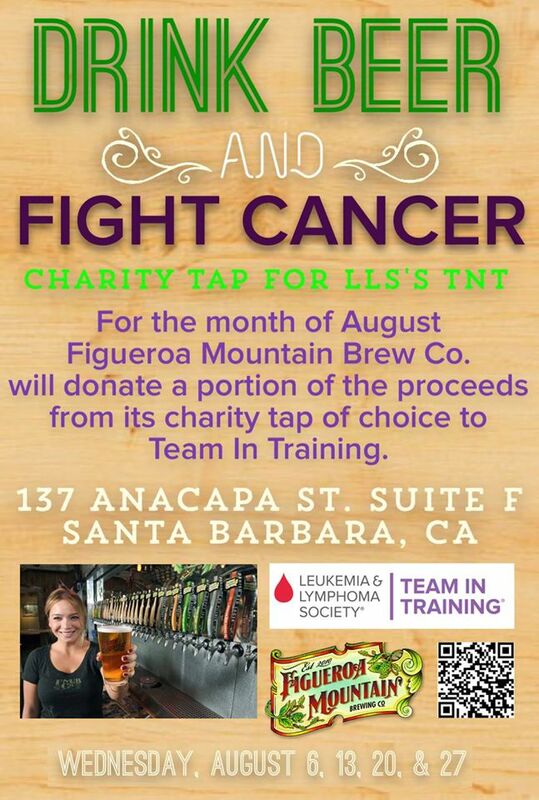 Figueroa Mountain Brew Co. will be donating a portion of the proceeds from a charity tap of their choice to help fundraise for the Leukemia & Lymphoma Society’s Team in Training for the month of August. Team in Training’s Santa Barbara chapter is currently training to run several marathon’s and half marathon’s while raising funds to help find cures and ensure access to treatments for blood cancer patients. So, come on down and bring some friends, grab a beer, and donate to a great cause. This will be ongoing EVERY Wednesday in August so come when ya can! And the last Wednesday, August 27th will be a silent auction outside as well. Find the Fig in the Zone.